Whoever wins on Wednesday night will see a new Eurocup champion being hailed. Strasbourg head to Turkey with a 4 point lead after their 66-62 triumph in the first leg last week and this is looking like being a massive night. As you would expect, the tickets for the Abdi Ipekci sold out in a matter of minutes, so it will be a noisy evening. With a 10-1 record at home in Europe this season, the Turkish side knows that they have what it takes to clinch the victory they crave. They’ve also managed to win big on occasions and they are currently sitting with an average winning margin of 23.3 points in their last 7 home games. Any win of 4 or more points on Wednesday night will be enough for the Turkish fans to celebrate long and hard but it looks as though Galatasaray have enough about them to win convincingly if needs be. Vladimir Mivoc was in excellent form last week and if he delivers another big game, it could be a special evening in Turkey. The French side have only tasted defeat once on the road in Europe this season and they know that a narrow defeat will still be enough to clinch the title. A loss of one, two or three points will be celebrated in an excited manner by the French side who know that they have a chance of making history in Turkey on Wednesday evening. Louis Campbell was the star of the show in the opening game for the French side, delivering 16 points, 8 rebounds and 6 assists. There were a number of big players involved for the French side but the captain led by example and a similar performance this week could be the key factor in Strasbourg quietening down the home crowd. The bookmakers think that the Turkish team will have enough to win on the night and take the trophy. 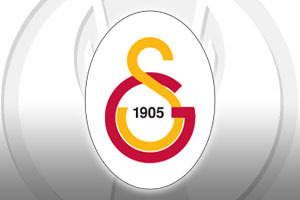 You can back Galatasaray Odeabank Istanbul at -8.5 which is on offer at odds of 1.90. When it comes to the Over/Under market, you should be looking at going OVER 148.0 at odds of 1.90. Bet Now!